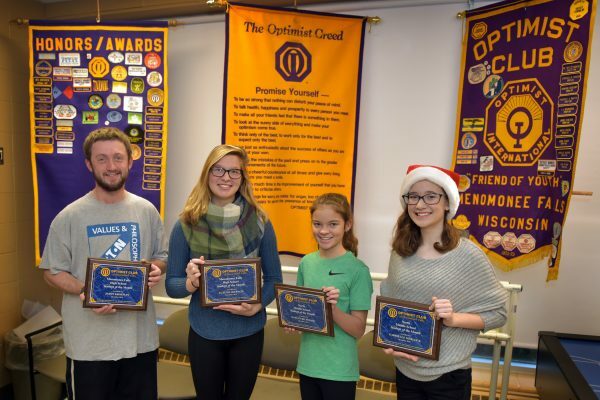 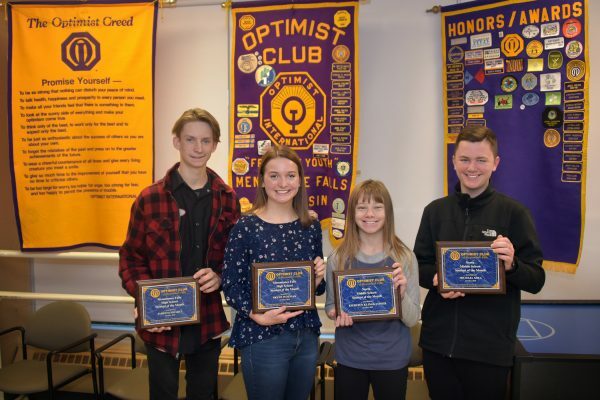 The Optimist Club “Students of the Month for December 2018 “ include (l to r) from MFHS Senior Jason Kroeplin and Junior Autum Seebach, and from North Middle School Kaelyn Richmond, a seventh grader, and Gabrielle Merlock, an eighth grader. 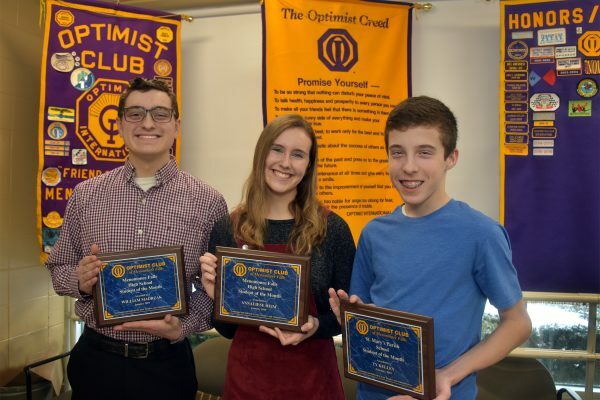 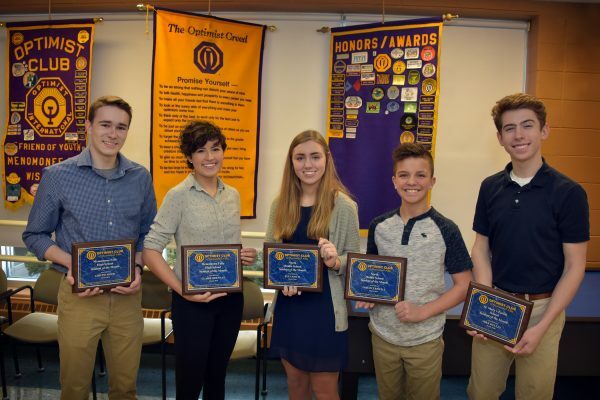 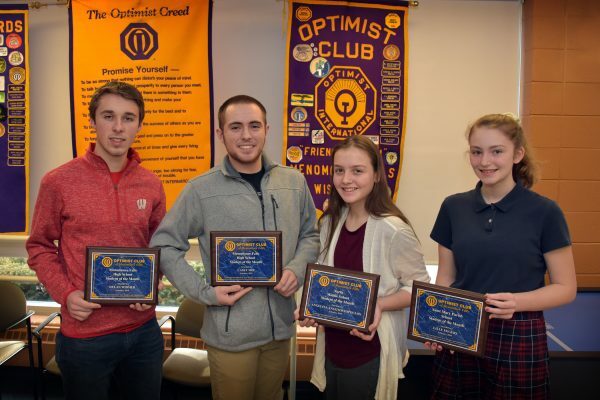 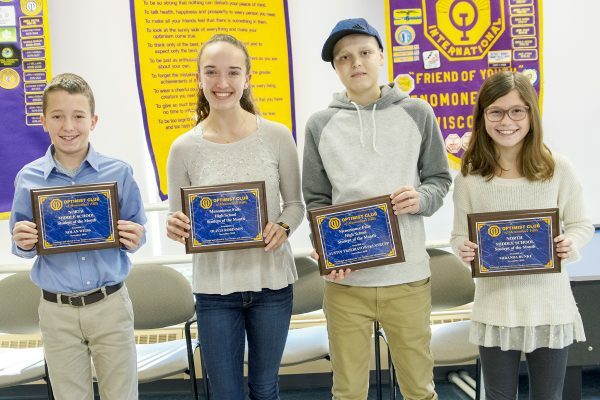 The Menomonee Falls Optimist Club Students of the Month for September 2018 include (L toR) Parker Shiley and Charlie DeCloux from MFHS, Allison SsalIiand and Conner Kahn both from North Middle School. 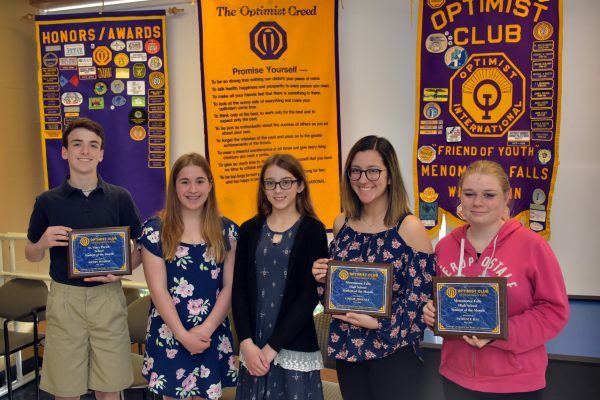 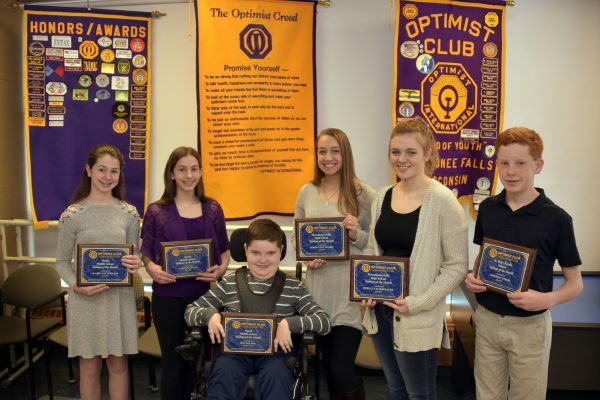 The Optimist Club Students of the Month for April 2018 include from North Middle School Clair Wattenbach, Caitlyn Grant, both in seventh grade, and sixth-grader Ben Nelson. 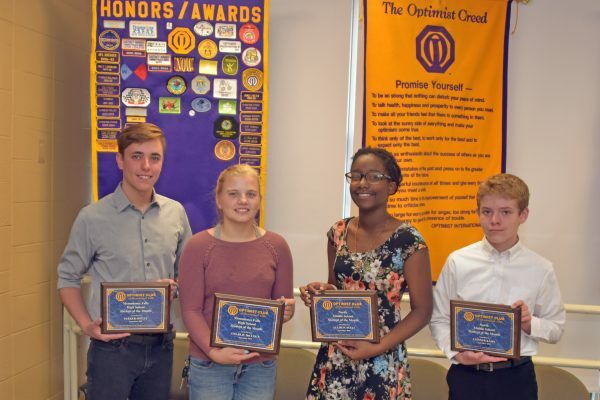 From MFHS senior Jordan Pettiford and junior Rebecca Schoenauer. 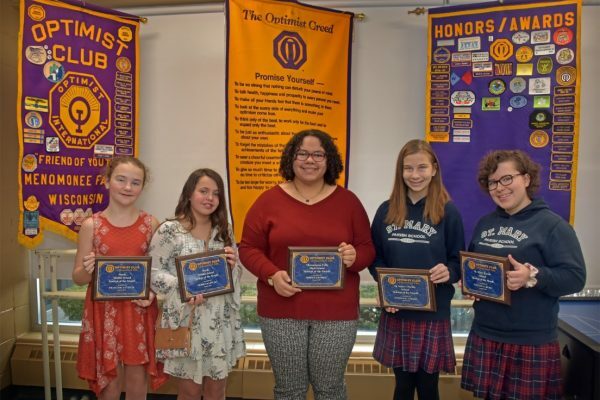 Eighth-grader Anderson Stroh, is the representative from St. Mary Parish School.